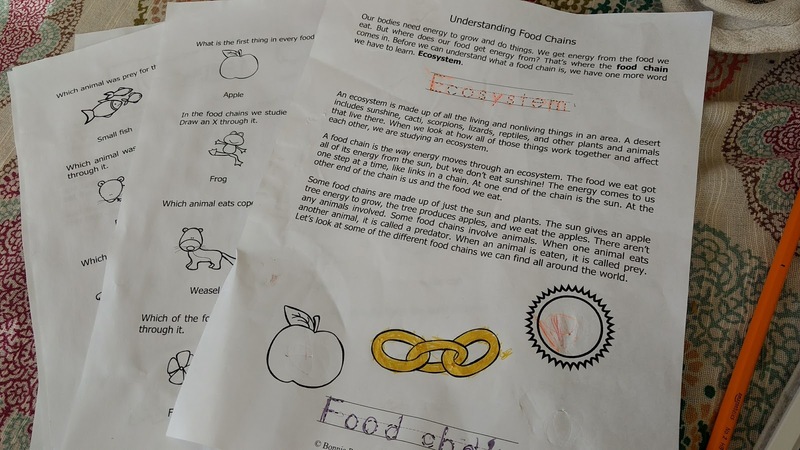 Each topic has 15 to 25 pages that define key terms, encourages coloring and reading comprehension, provides handwriting practice, drawing activities and review questions at the end, all with pictures to color as possible answers. 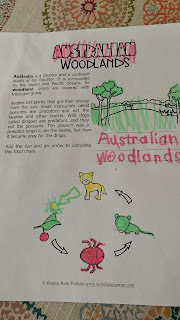 We started with Understanding Food Chains and each page covered a different type of ecosystem. 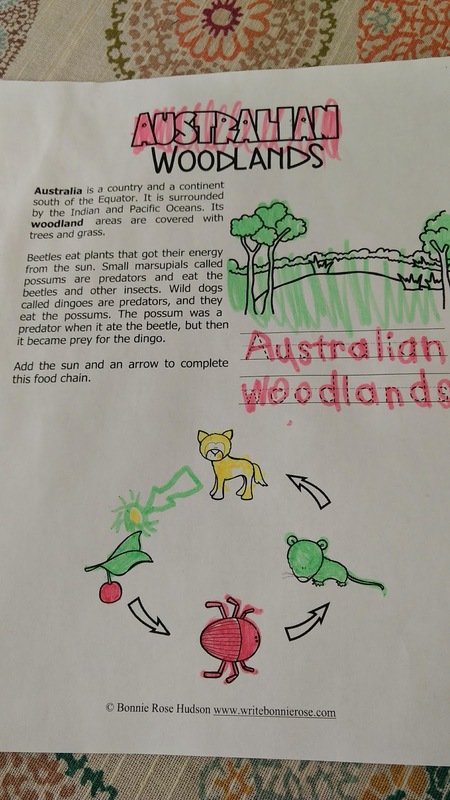 My son could read the page, follow the directions for the activity and then he would usually ask questions. Depending on the subject matter, it often left it wide open to continue the study with some YouTube videos. When my son came into my bedroom one day asking me how gravity worked again, it was a great opportunity to look at a different topic, Forces and Simple Machines. The text of this curriculum is very simple and clear. I found it easy to understand, but more importantly easy for me to explain and answer questions about. 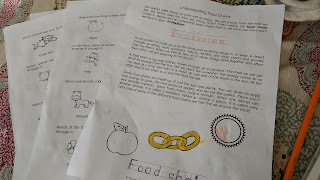 We found it to be the right kind of involvement to include handwriting and coloring on every page. It certainly kept my son engaged. 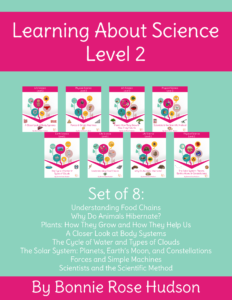 At his age (7), this curriculum provides a great introduction to all of the elements and allows us to go deeper when his interest or need requires. 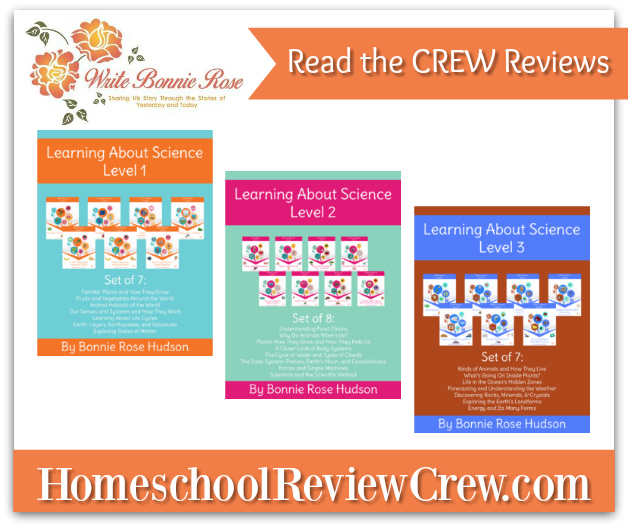 Whether you are a bit afraid of science like I was or you just need an effective resource, consider WriteBonnieRose and all three levels of Learning About Science. 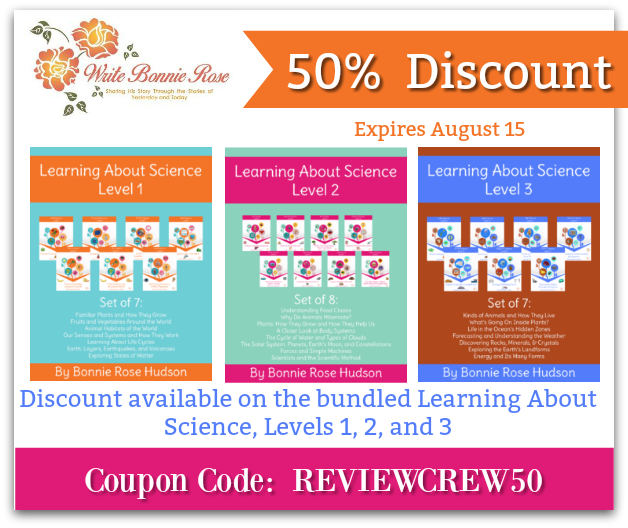 If you purchase between now and August 15th with the code REVIEWCREW50, you'll receive 50% off your order! That's $6 a set!